Helps maintain water resistance and feeds the leather. 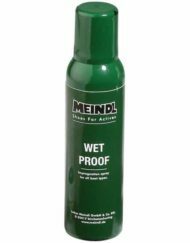 Every third time you clean your boots, spray with Meindl Wetproof prior to waxing, as this helps the water resistance of the leather. Once you have finally found a pair of boots that fit, having tried out many different models in the store, the first thing that most people think of is their planned trip. But wait! You should treat your boots BEFORE their first use! 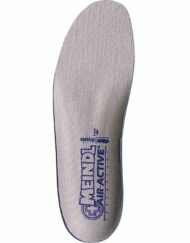 “Why doesn’t Meindl do that?”, you might be thinking. 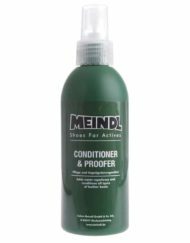 We do – but boot care products don’t last. So: read the treatment instructions and spray or wax your boots BEFORE using them for the first time. It’s even more important to treat your boots carefully AFTER wearing them. After all, we take care of our own skin: we protect it from the sun, cleanse it or use moisturisers to prevent ageing. Leather is also skin. Its complete structure is preserved by tanning so it has to be treated regularly. All materials are treated so as to be water-repellent (hydrophobe). This hydrophobic element is reduced over time and needs to be reapplied. To ensure good foot climate, modern boots are breathable. This characteristic also needs to be maintained. Boots are made chiefly of leather. They therefore require regular “nutrition” so that they last for a long time and keep their shape. 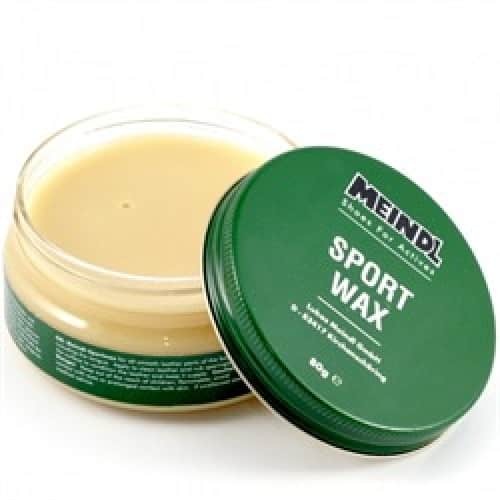 We recommend spending a little bit extra on treatment products when you are buying your new pair of boots. It doesn’t make much of a difference in terms of the cost when purchasing high quality boots, and it pays off quickly: you save time and money because you don’t have to waste time thinking about a new pair of boots so soon. And boots that are properly treated last longer! Preparation: Take the footbed out, so it can dry out. If you also want to wax your boots, take out the bootlaces. Cleaning: Remove the worst of the dirt under running water with a brush; also remove dirt and stones from the sole. 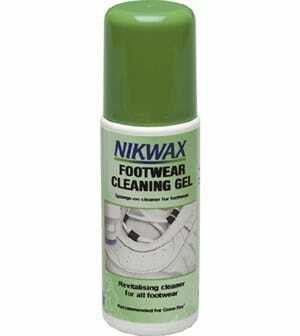 Hygiene: To improve the odour of your boots, clean the inside of your boots with luke-warm water and a brush. This doesn’t hurt the lining. Leather linings without GORE-TEX® can be cleaned with washing soap; only use water on linings with GORE-TEX®. Drying: Never dry boots in direct sunlight or on heat-generating units such as radiators or stoves. Wet leather is very sensitive to heat and “burns” easily (i.e. it becomes brittle and hard, and then gets cracked). When the lining is wet, stuff boots with newspaper (don’t forget to remove later!). Dry boots keep their shape perfectly with wooden boot trees. Spraying: It’s best to do this when the boots are not quite dry. The pores are still open and the spray penetrates deeper. Cordura can only be sprayed, leather also requires regular waxing. Waxing: Leather needs regular “nutritional” waxing, as do GORE-TEX® lined boots or the trim on cordura boots. Apply wax with a sponge or rag; don’t forget the tongues! Caution: Do not heat! Otherwise the wax penetrates too deeply, decreasing breathability and thus comfort. Tip for nubuck boots: Waxing changes the boots’ appearance. The leather gets smoother and darker, but this is a perfectly normal, harmless process! 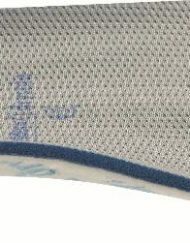 The leather is “fed” and the seams become more stable. Hooks and Eyelets: Protect against corrosion with wax or Vaseline.